There are very few issued £50 notes known from the pre-partition era. 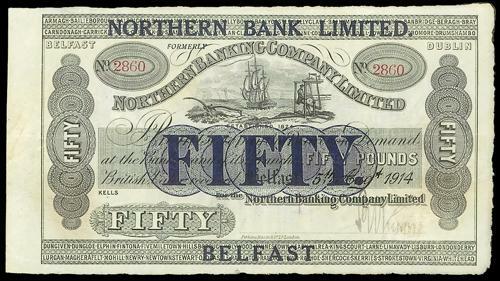 Northern Bank £20, £50, and £100 notes from the 1914-1918 era which were overprinted for use in Northern Ireland post 6 May 1929 are well-known, and most varieties are readily available. Nothern Bank Fifty Pounds 1914 with 1929 overprint. By contrast, here is one of the rarest of Irish notes! 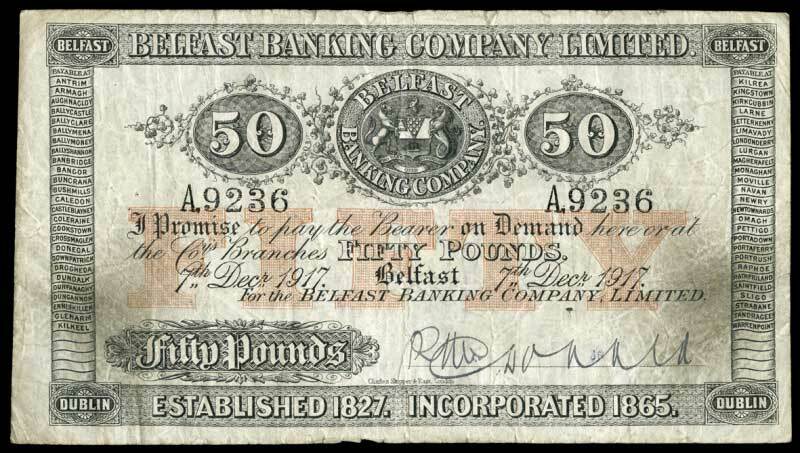 Equally rare, a Belfast Banking company General Issue £50 note. It's in nice condition too. Here are two more megga rare Bank of Ireland £50 notes, from well before the multi-branch General Issue era. More early Bank of Ireland notes are on the main website.